After coming up short of a Cherry Bowl title on July 29, Old Orchard Swim Club was the top finishing Cherry Hill swim team at last weekend’s 2017 Tri-County Swimming Pool Association Championships at Wenonah Swim Club. Old Orchard totaled 511 points in the season’s final meet, finishing in fourth place in the team standings behind Pomona, Wedgewood and Wenonah. Erlton was the second highest finishing Cherry Hill swim team, finishing in sixth place with 478 points. Woodcrest also placed in the top ten of the team standings, finishing in ninth place with 345.5 points. Relay teams from Erlton and Willowdale came up victorious in the season’s final meet. Erlton won the boys 100-meter medley relay and freestyle relay events in both the 9–10-year-old and 13–14-year-old age divisions. 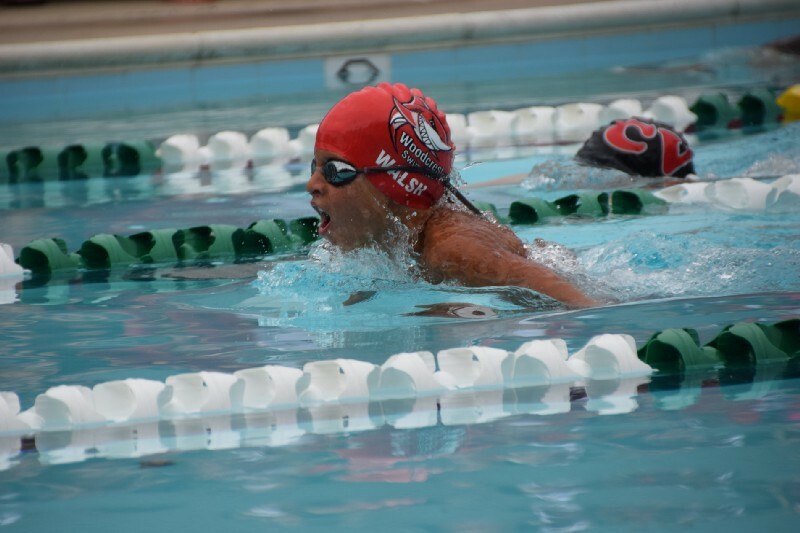 Willowdale’s boys 11–12-year-old relay team also swept the medley and freestyle relay events. Fox Hollow also won a relay event, taking home first place in the boys 8-and-under 100-meter medley relay. A number of individual swimmers finished in first place in a variety of events. Fox Hollow’s Mackenzie O’Connor won both the girls 15–18 100-meter individual medley and 50-meter backstroke. Willowdale’s Josh Seidman also won two events, the boys 11–12 50-meter backstroke and 50-meter butterfly. Other individual winners from Cherry Hill include Old Orchard’s James Tao and Annie Behm, Fox Hollow’s Michael Fekete, Erlton’s Tre Cottrell and Anna Mecca, Woodcrest’s William Walsh and Barclay Farm’s Adriana Lai.